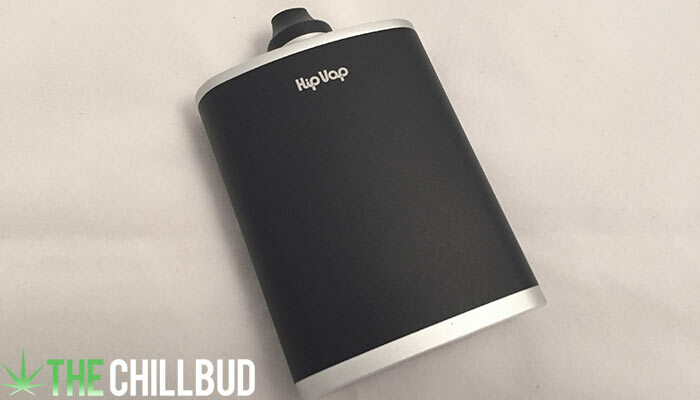 At first glance you might assume the HipVap is just a smaller than average flask. Upon closer inspection you can see the temperature control, silicon mouthpiece and mini-usb slot. 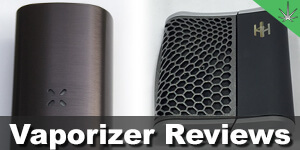 This inconspicuous portable vaporizer marries form, function and subtlety. 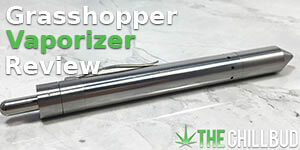 The HipVap costs $149.99 making it one of the cheaper portable vaporizer options on the market. 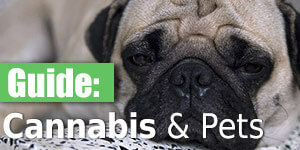 This isn’t to say it is a cheap unit, in fact, in many ways the HipVap outperforms vaporizers that are twice the price. Most portable vaporizers these days only have 1 button, this is to help ensure a user friendly experience and minimalist look. The HipVap went a different route, it has the on / off button, temperature control buttons and timer buttons, for a grand total of 5! It boggles the mind how anyone could keep track of all of these buttons, but we managed, and we love it! The temperature control buttons give you the freedom to dial in your desired temperature to within 1 degree. Ranging in temperature from 150 degrees fahrenheit to 430 degrees. 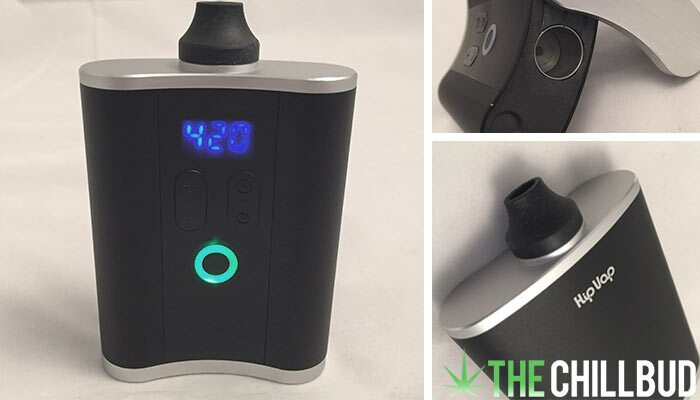 The HipVap has a digital screen that displays the temperature of the vaporizer in real time, so you know exactly how hot it is at any given moment. When you consider most vaporizers only have a few different temperature presets, it really gives the HipVap a leg up on the competition. The design of the HipVap resembles a flask, so naturally it is a bit larger than some other handheld vapes. It fits perfectly in your hand though, the curved design makes it comfortable in your pocket and your palm. This added space also gives the HipVap the ability to use 2 lithium ion batteries, giving it a long lifespan. The price of the HipVap is a huge selling point, especially for a dual-function (herb and extracts) vaporizer with such a solid feel. $149.99 is a bargain for this vape. 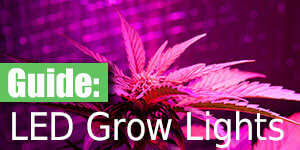 Being able to dial in the exact temperature is a huge bonus that is rarely found in portable vaporizers. No need to worry is the presets are 1) accurate or 2) too hot. Real time temperature readings give you an optimal vape experience throughout your entire sesh. The flask design feel comfortable to hold, even though it is bigger than most other vaporizers. It also gives you the ability to set it down between tokes, something I didn’t appreciate until I noticed myself doing it with ease. Other vapes don’t sit on the table so solidly, so I am clutching them throughout the session and gingerly placing them on the desk afterwards. The vaping experience itself was quite enjoyable! 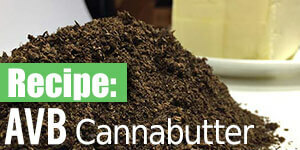 Hauling on the HipVap wasn’t laborious at all, it consistently delivered big clean rips. 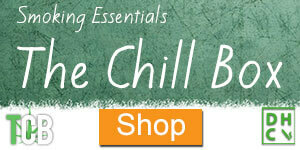 Being able to dial in lower temperatures also helps you get the full flavor of your herb. Cleaning is a breeze with the HipVap. It’s also very well insulated so you never get hot hands. I mentioned before than the HipVap is conveniently shaped so I could set it down on the desk no problem. Loading the vape is a different story. The oven chamber is on the bottom of the vape, so you have to turn it upside down to load. Because the mouthpiece juts out at the top, you can’t place it on a flat surface and load hands free, you will need to hold the vape with one hand and load with the other. The oven lid isn’t my favorite. While the aesthetic is very nice, the function could be a little friendlier. It swings open in one direction, but with no arrow pointing which way to flip it, I find myself fiddling with it until I can find which way opens the lid. I’m afraid this will eventually weaken the hinge or even break. I would have liked to see a USB to Mini USB charging cable included in the box. They only provide a wall charger, limiting your ability to charge up on the go. 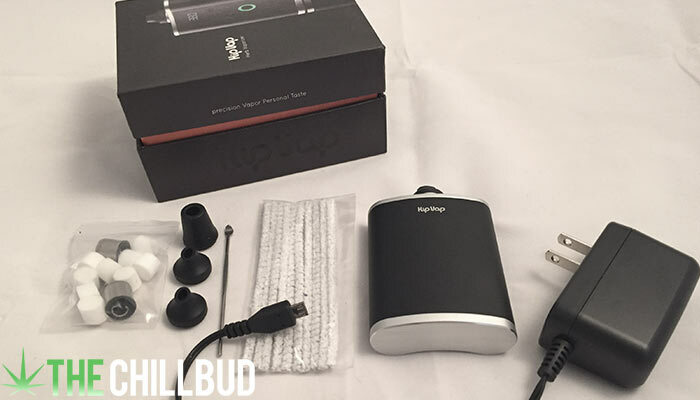 The HipVap offers a similar, if not superior vaporizing experience to devices that are twice the price. It has a very solid feel and elegant look, something you wouldn’t expect from a sub $200 vaporizer. 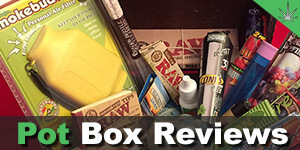 If you are a vapor snob on a budget, the HipVap should be your first choice. You will be able to set the exact temperatures you want and monitor them in real time, ensuring an optimal vaping experience. *HipVap is out of business. Unfortunately HipVap isn't around anymore.